Our office is conveniently located next to Ochsner Baptist Medical Center, 2 blocks from Napoleon Avenue, and is home to Drs. Combs and Lutz and their staff. See map. Office hours are Monday through Friday, 9 to 4 with early closing on Fridays. For appointments, call (504) 895-0361. Visitor parking is available to the rear of the building. More . . . I have decided to turn my practice into a Patient-Centered Membership Model. The need for primary care physicians has grown faster than the availability of PCP's especially after Hurricane Katrina. As the number of new patients needing a PCP expanded, the waiting time for an appointment increased and the amount of time per visit decreased. I like the idea of spending more time on fewer patients, same or next day appointments, and the ability to schedule patients without causing them to wait. A reception room should be just that - a reception room, not a waiting room. After long and careful consideration, I have decided to turn my practice into a Patient-Centered Membership Model on January 1, 2018. Doing this will allow me to enhance your care. Some benefits of this new model may be. Continue . . .
Everyone over 6 months of age needs influenza immunization during October before the flu season starts. Our office uses only vaccines manufactured in the United States. Please call 504-895-0361 to schedule an immunization date. And remember, influenza immunization DOES NOT cause the flu. More . . .
Dr. Kenneth L. Combs is a Kentucky native who graduated from Tulane University Medical School in 1971 and did his Internship at Charity Hospital and Internal Medicine Residencies at Tulane University Medical School. 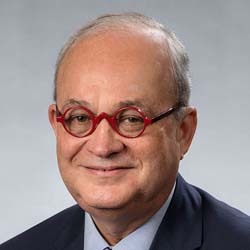 He served as a Major in the United States Army Medical Corps, and then in 1977 began his New Orleans practice where he specializes in Internal Medicine. 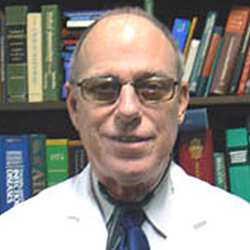 Ken is a member of several medical professional organizations, including the American College of Physicians, the American Society of Internal Medicine, the Louisiana Internal Medicine Society, the Louisiana State Medical Society, the Musser Burch Society, the Orleans Parish Medical Society and the Southern Medical Association. More . . .
Dr. F. Brobson Lutz, Jr., a proud son of Athens, Alabama, is a direct descendant of William Brewster, the "Elder Pilgrim" or "Patriarch of the Pilgrims", who is credited by many for writing the Mayflower Compact. Dr. Lutz graduated from Tulane University Medical School and completed his postgraduate training at Charity Hospital. He specializes in Internal Medicine and Infectious Diseases. Dr. Lutz was the New Orleans Director of Health for thirteen years, and continues to serve the community as Vice Chair of the Board of Commissioners of the Orleans Parish Communications District. He is a regular guest on WVUE Fox 8 Morning News, and a frequent contributor of health articles to publications such as New Orleans Magazine. Brobson has a variety of interests and hobbies that include literature, travel, New Orleans and other regional cuisines, urban gardening, raising chickens and beekeeping. More . . .